Hi friends welcome to our loving website CodeExercise.com and this is our new windows or android tricks to you. This trick name is How To Use Mobile As Mouse/Keyboard . This trick is very useful to everyone. Everything has it’s dark side. Our computer monitor has the dark side too. Monitor damages our eyes. We all want to keep distance our eyes from the effects of a monitor. Sitting too much time in front of a monitor, it is very awful for your eyes. It can reduce the power of your eyes. Today we got a solution to rid out of this problem. You will love it to do. It is helpful as eyes as you. It’ll help you too keep distance your body from your monitor. You have to do some simple task to Set up the operation. So friends, are you really want to know How To Use Mobile As Mouse/Keyboard . Than let’s know how to do it. You need something that I am telling bellow by serials. 1. You need a wifi/data connection. If you already have this then no tension you compete a task automatically. 2. Of course you need a Smart Phone. 3. Go to play store and download Mouse Kit. 4. Chose the first application and install it. 5. Before open it you need to download a file for your computer. 9. You’ll see a new page. 10. Click download from the new page. 11. Save the folder you want to download file. After all that you’ll see a application down the right side corner. 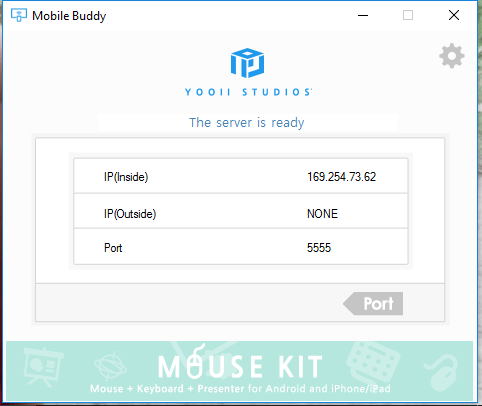 Connect your phone with the following IP and Port. Now you can enjoy your phone like a mouse or keyboard. This is a healthy trick also.I mean it teach us how to keep our body safe. Friends ! if you like our trick How To Use Mobile As Mouse/Keyboard then please comment bellow or feedback us. Till our new trick or post be well. All Samsung Galaxy Codes (Secret) List.